How can I relate architecture to dance? I am currently in my senior year as an architecture student. I am also a contemporary dancer. I decided for my senior project to design a dance academy in a historical city located on the seashore of Lebanon called Byblos. It is a very active city, culturally, historically, socially. Along with the academy I will be proposing an urban structure that will allow people to experience the city through the eyes of a dancer, meaning I want people when visiting Byblos to have the opportunity to dance even if they haven't taken any dance classes or even been interested in dance at all. It is just a structure that makes them dance without even knowing or putting an effort to it. 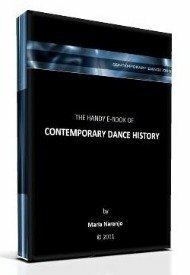 Can you help me find a theory that relates to dance that I can design my architecture upon? I need some guidelines in order to begin. I have proposed the theory of Labanotation to my teachers (I already have some knowledge about it and I already read about it in your blog) but I am confused of how to implement it in architecture. I already saw an example of the University of Arizona where the implemented Labanotation on architecture but I found it a bit silly and unclear because they used the positions used in a choreography and tried to graphically dissect them and represent them. I need to dig deeper in theory in order to come up with a more interesting process of designing space for/through/by movement rather than a movement in space. Comments for How can I relate architecture to dance? I'm so glad to know someone in the planet is working seriously on such a topic. Architecture for dance is a real need for humanity to evolve, even if schools in rich countries have fantastic studios. As I see, you're pointing out another type of architecture... that sounds extremely interesting. You are right to consider Laban's ideas as a theoretical frame. However, I think his writings entitled "Choreutics", "Vision of the dynamic space" or his "Space harmony" may give you better foundations than the Labanotation system itself. Still, you know Laban's work was not written to think about architecture, so you will need to make an interpretation of all that to relate it to your project. I have knowledge of one text by Élisabeth Schwartz that treats a related topic. Unfortunately, it is written in French. However, you might want to try to contact her, as she may be working on the topic further. The title of the article is "Les trames architecturales du mouvement chez Rudolf Laban." Rudolf Laban ESPACE DYNAMIQUE. Traduit par Élizabeth Schwarz-Rémy. Nouvelles de Danse. Publié en français par Contredanse, Bruxelles, 2003. I guess you can contact Élisabeth through Contredanse, as she has worked with them. The theory that supports your project theoretically may not yet exist. Nevertheless, you have an important idea in mind. Evolution has to be created by us, so maybe you need to generate a framework by mixing thoughts from various disciplines. I'm sorry for not having more related information, but I wish you a lot of force and fortune with this project. I'll be glad to know how it goes on. i am an architecture student and i am doing my thesis on the same topic .so, can u help me out with your thesis experience. I am glad that someone or some Architect is working on this topic. I am currently a Bachelor's Student. And for my Studio Project, I have considered this idea too. And by reading your project detail. We have a lot of things in common. My Site is also situated in the historic, cultural, Triumph area, called Walled City of Lahore. Just needed some suggestions to how to start the project?